Designed from rocks in our garden, eco-crayons™ are perfect for kids as they learn to manipulate items with their hands, and for the young at heart. They never loose their point because new angles are being created as you draw. 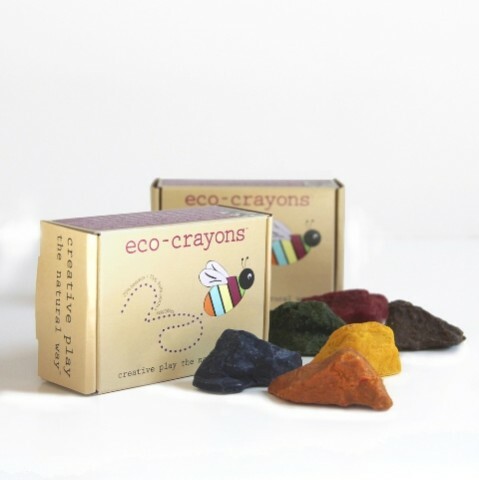 These earthy colors are made using 25% bees wax and 75% fruit plant and vegetable extracts. 6 colors per box. Ingredients includes annatto seed, beets, carrots, curcumin, purple sweet potato, red cabbage, spinach. bee palm and soy wax.